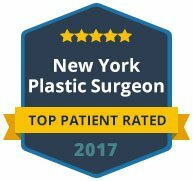 Dr. Maurice Khosh is a well known facelift surgeon and a dual board certified facial plastic surgeon practicing in Manhattan. He is the Past President of the New York Facial Plastic Surgery Society and a founding member of the New York Head and Neck Institute. 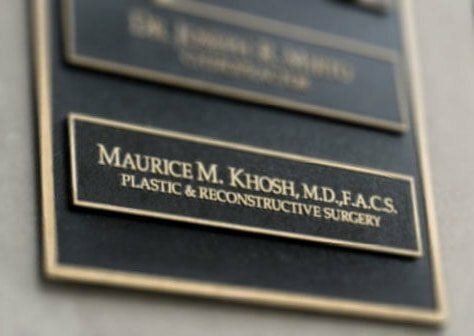 Dr. Khosh is an affiliate member of the Vascular Birthmarks Institute of New York, and a surgical consultant for the Crime Victims Treatment Center at St. Luke’s-Roosevelt Hospital Center, where he provides treatment for crime victims with facial injuries. Dr. Khosh is a Fellow of the American College of Surgeons, and a member of the American Academy of Facial Plastic and Reconstructive Surgery and the American Academy of Otolaryngology-Head and Neck Surgery. Dr. Khosh is recognized by his patients and colleagues as an outstanding physician having received multiple awards including the Castle Connolly Top Doctor award, the Patients’ Choice award, and the Best Doctor’s in America award. Dr. Khosh is academically affiliated with the Columbia University College of Physicians and Surgeons as a Clinical Assistant Professor. He was the youngest recipient of the Maxwell Abramson Resident Teaching Award in 2001, as the Director of Facial Plastic Surgery Clinics at Columbia University Medical Center. Although he is currently in private practice, Dr. Khosh continues his teaching role by authoring scientific articles, lecturing residents, and presenting clinical research at professional meetings. Nationally, Dr Khosh is closely involved with the American Academy of Facial Plastic and Reconstructive Surgery (serving on several committees) and the American Academy of Otolaryngology-Head and Neck Surgery (Advising on Board Examination Committee, and Continuing Education Committee). Dr. Khosh’s hospital affiliations include the Columbia Presbyterian Medical Center, the Mount Sinai Roosevelt Hospital, Manhattan Eye Ear and Throat Infirmary (MEETH), and the Lenox Hill Hospital. Dr. Khosh grew up in Atlanta and attended college at the University of Texas in Austin. He majored in electrical engineering with concentration in biomedical engineering and graduated with honors. He obtained his graduate medical training at Albert Einstein College of Medicine in New York, where he was inducted into the AOA Medical Honors Society. He completed his residency training at the Columbia University in New York. He then pursued a fellowship in facial plastic surgery at the University of Washington in Seattle. 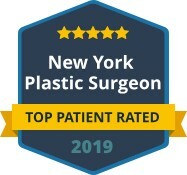 Dr. Khosh returned to New York where he joined the faculty at Columbia Presbyterian Medical Center as the director of Facial Plastic Surgery Clinics, prior to moving into private practice. Dr. Khosh’s non-academic interests have been in figure drawing, painting, and calligraphy. His extensive training and vast surgical experience grant him expert knowledge in the anatomy and physiology of the face, neck and skull region. This unique background enables him to expertly manage the most complex types of facial surgeries, be they reconstructive or cosmetic. His aim in cosmetic surgery is to create a natural and “non-operated” look that is harmonious with the overall appearance of each patient.